Transparent Collective is a non-profit helping Black, Latinx, and female founders access the growth resources and connections they need to build successful tech companies. Prepare underrepresented founders for fundraising. 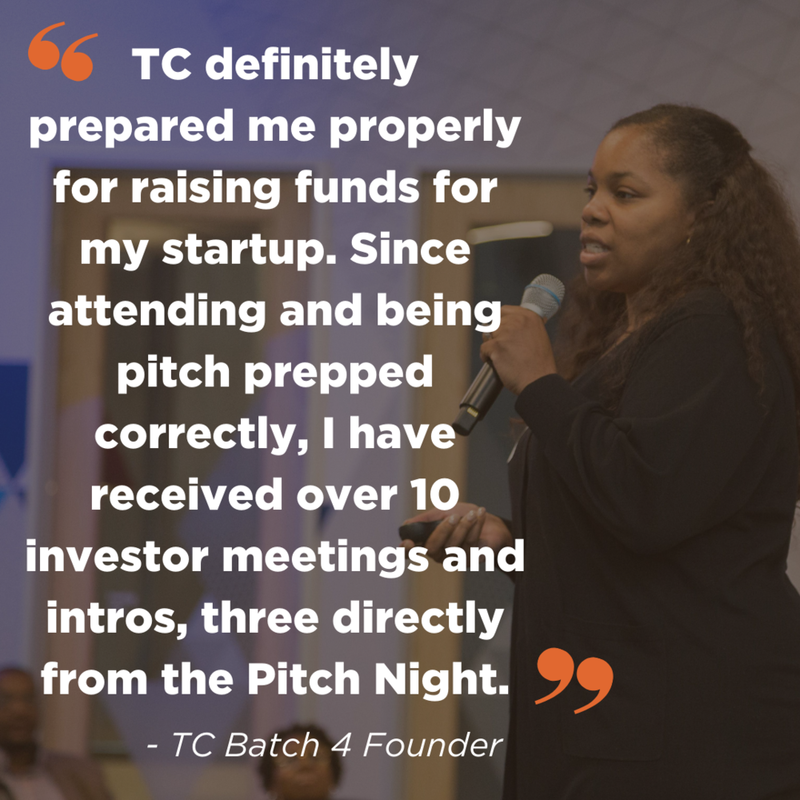 Connect investors to high-caliber entrepreneurs. Build an ecosystem where underrepresented entrepreneurs flourish. As a non-profit, Transparent Collective does not take any money or equity from our founders when they join our program. We are a collective of underrepresented founders lifting one another up, sharing resources, and building connections that create an ecosystem of more successful minority founders! Share our vision? Get involved with Transparent Collective. Think your startup might be a good fit for Transparent Collective? Apply to be part of our next batch! We’re looking to connect with awesome investors, entrepreneurs, partners, and tech enthusiasts passionate about Diversity & Inclusion.